Discover how to run a Maths Circle in your school. 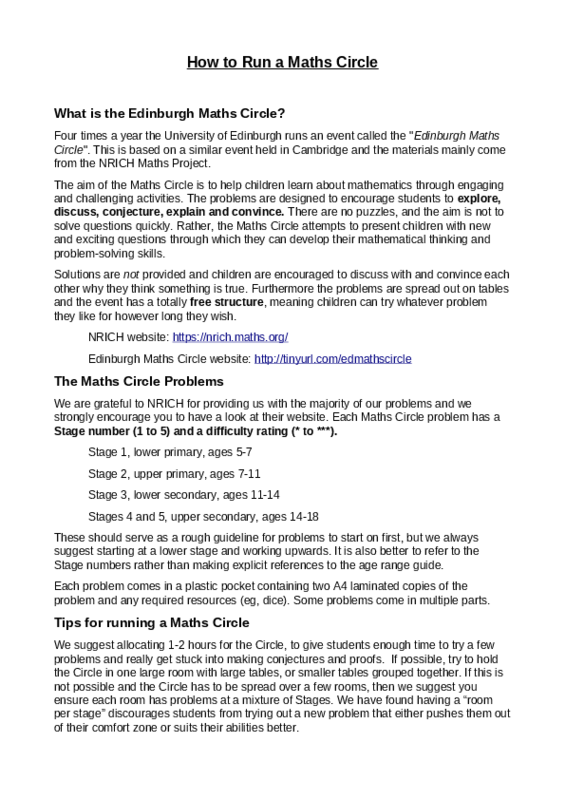 The Edinburgh Maths Circle has been an immensely popular event over the past few years. 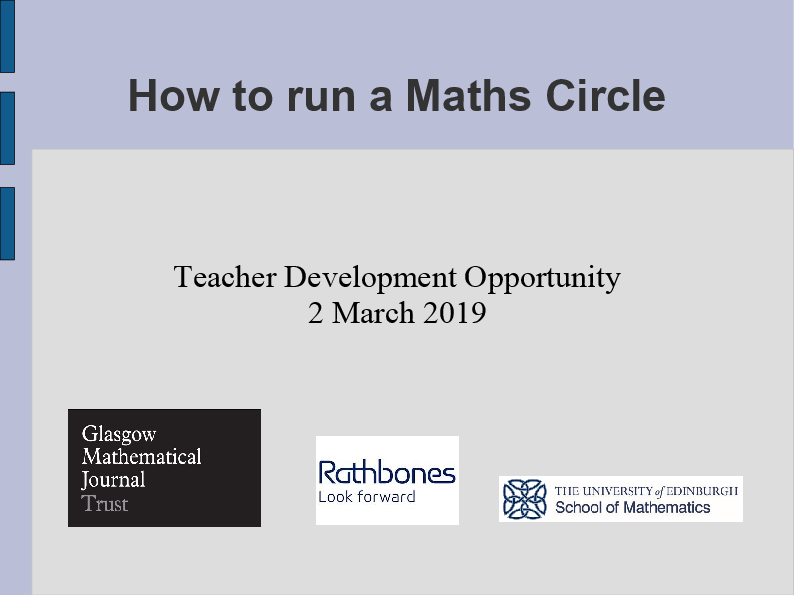 In 2018, thanks to funding from the Glasgow Mathematical Journal Trust and Edinburgh City Council, we have begun a programme to spread the Maths Circle initiative widely across Scotland. Our aim is to loan our resources out to schools and provide training and support so teachers can host their own Maths Circle events at their schools or in their local communities. So far we have run two workshops aimed at showing our resources to school teachers and giving them advice on how to use them in the classroom. These workshops have proven to be successful and very well received. We are planning to host similar events again in the future. The handout and slides from our most recent teacher workshop are both available below. If you are interested in borrowing our resources please fill in this form and Francesca Iezzi will call you back. If you do not hear anything within a couple of weeks, feel free to contact Francesca Iezzi by email, or preferably by phone. As an example, you can read about the Maths Circle recently hosted at Preston Street Primary School with our resources.